With this being Thanksgiving week I thought I would do a little philosophical reflection. 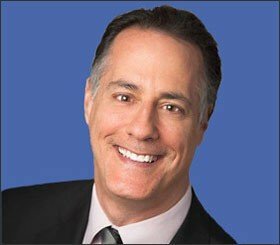 With the exception of FDR changing when Thanksgiving took place in order to help retailers so that it didn’t fall so close to Christmas and dilute the purchases during that time, it’s actually a quite brilliant, beautiful, and one of the most soul-enriching holidays we have in America. Why do I say that? Because it covers two of the most important contributions to happiness: Thanks (gratitude) and Giving. Our egos have this insidious way of making everything about “Me” and “I” versus about others and “We”. And we all know that the more we look within and make it about ourselves the less satisfying our human experience is. We are social creatures endowed with free will. We all have the power to choose that which will enrich us and that which will drain the forces of life and meaning from us. Connecting deeply with people and having an attitude of gratitude can go a long way to helping widen our world and bring others into our lives. It’s natural for people to want to travel and go to different places to see how others live and to learn more about history. From time to time when I travel I like to go and see where people felt great pain or took great risks to effect change. I really enjoy traveling with a purpose. I remember a number of years ago I had to be in Atlanta over a weekend and had some time to kill. I have a goal to visit all 50 states (I think I’m up to 43) and at the time Alabama was one state I hadn’t visited. Since it was not that far from Atlanta, I decided to put some miles on my rental car so I could check that off my list. I didn’t just want to cross the border and turn around so I studied the map and realized that Montgomery was not too far away all things considered. I was excited to go there as this was where Dr. Martin Luther King, Jr. came to prominence and Rosa Parks refused to sit at the back of the bus. I couldn’t have picked a more momentous day it was the day of the Alabama and Georgia football game and the Talladega 500. I happened to drive right by the race track and could not believe what I saw. It was the Woodstock of NASCAR with over 500,000 people camping out. It was an extraordinary sight to catch a glimpse of a sea of humanity congregating there together for something that gave them so much joy. Boy did that open my eyes to the power of NASCAR in the south. But I digress. During that time in my life, I found myself recording some of my thoughts and observations when I would travel. I would do that for work when looking at properties and would do it for personal visits from time to time if I were moved enough. I knew deep down I wanted to write a book some day and that capturing meaningful moments in my life and what I was thinking and feeling at the time might have value in the future. And while this experience did not make it in the book I’m glad I kept my notes as it has still left a powerful impact on me and helped me tap into my humanity just a tad bit more than I otherwise would have without that experience. I went back and retrieved what I wrote and thought I would post some of it here to show how sometimes traveling with a purpose can really foster a feeling of gratitude. Driving through Montgomery, Alabama, I went through a tour of the Rosa Parks Museum. I saw the spot where she was arrested, refused to give up her seat based on the demands of the white bus driver. It was extremely powerful. I went over and saw where Martin Luther King was pastor of the church from 1954 to 1960, where they organized the first meeting and mass rally to begin a boycott of the Montgomery bus system. They thought it would only last a couple of days because their demands were not unreasonable. They were not looking to repeal segregation. They just wanted more fair treatment, more dignity. 385 days later that bus boycott was finally successful. Montgomery, a sleepy town with an unbelievable amount of history and it is accidental history. King’s church was within walking distance or eyeshot of the old colonial or confederate capital where Jefferson Davis was inaugurated. And nearby is where he sent a telegram to give the orders to fire on Fort Sumter. Traveling, feeling history, those moments that we were talking about, about training yourself, knowing when to take action at the right time. Rosa Parks had finally had enough. She didn’t consciously get on the bus that day and determine that she was going to become a revolutionary. It just happened. Traveling to historical sights offers the opportunity for one to be enveloped with emotion and feeling and empathy and hopefully sympathy for the struggles and challenges those had before us, what they overcame. And it helps build gratitude, which is such an important, important trait to lead a wise and happy and successful life. Not only does one develop a sense of gratitude for the sacrifices that those before us made and now to which we, because of those sacrifices, benefit and have a better life. But it creates perspective in facing challenges, obstacles. Always know that someone went through something more difficult, more challenging and they overcame these. It wasn’t easy. They probably doubted themselves, at times lacking confidence. Dr. King constantly asked if he were doing the right thing. Was he really the one to lead this group of people? Somehow he had an epiphany, a moment. He made a religious connection and realized someone would always be with him. He was never alone. I think that is another important part of history and travel is that in a way you are not alone. Develop that relationship with the past, those characters. Machiavelli was known to be talking to the great philosophers before his time. That helped him. Don’t be afraid to go out and see where pain and struggle took place and try to imagine what it was like to be in those situations. Most atrocities occur when we don’t view groups of people as human. They are generalities, stereotypes, nameless hordes of people who are devoid of humanity. As Stalin said, “One death is a tragedy. A million deaths is a statistic.” Quite chilling but true in a sick sort of way. Travel has helped me see the similarities that make me feel more connected to others versus the differences that can separate us. I know it sounds John Lennonesque in my utopian viewpoint but trust me it does help one build up a higher level of gratitude and understanding. One of the most valuable experiences I have had at CWS has been related to our community service program that we call BRIDGE. It was created on the premise that if the company can help support people in what they’re passionate about, then the company can only benefit by having a more highly engaged, happy, and supported individual working for us. It also has the added benefit of leveraging our talent and treasure to make a difference in people’s lives. 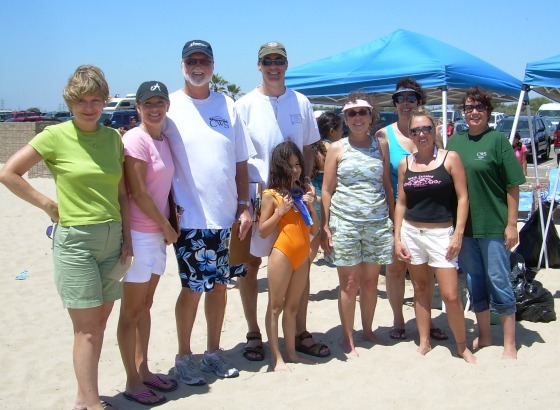 We contribute $20 per hour for up to twelve hours of volunteer work, for a total potential of $240 per year per employee. The employee can designate where 50 percent of his or her BRIDGE dollars go, while the other half goes in a company pool. Since not everyone designates where their 50 percent can go, those dollars will also go into the company pool. At the end of the year, we ask participants to write a letter requesting money from the larger pool to go toward a nonprofit organization of their choice, in which they identify the organization, their involvement with the organization (if any), the reasons for their participation, and why this money will be impactful. Reading the letters is one of the highlights of my year. They are so moving and passionate, and they shine a light on so many worthy causes, many of which are far below the radar. Everyone who sends us a request will have money contributed. The range is typically $500 to $3,000. We have given away over $200,000 since the program was implemented in 1998. Each year when we do our State of the Company meeting, going to every region to report on the year and what’s ahead, we pass out the BRIDGE checks. The requirement for the recipients, however, is that they have to stand up and speak in front of the group about why they nominated the organizations for which they are receiving a check. It is so incredibly moving. Many people have been touched by family members’ or personal illnesses, suicide, crime, addiction, or foster care, as well as by supporting missionary work, youth sports, and countless other worthy organizations. Tears inevitably flow, and people feel more connected when they open their hearts and souls and share openly about what they care deeply for. 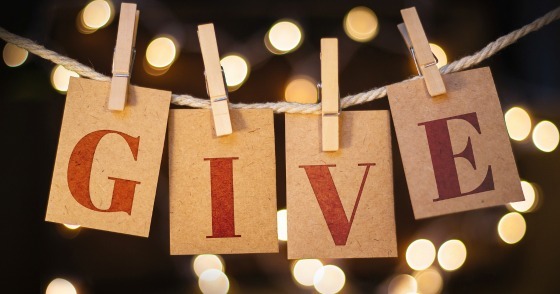 CWS’ widespread involvement in our communities and causes that matter is representative of our society’s belief in giving back and helping those in need and those who can make a difference. When we are touched we want to touch back. Americans are a very giving people. According to The National Philanthropic Trust, Americans gave over $358 billion (2.1% of GDP) to charitable causes in 2014. 72% of these contributions came from individuals. 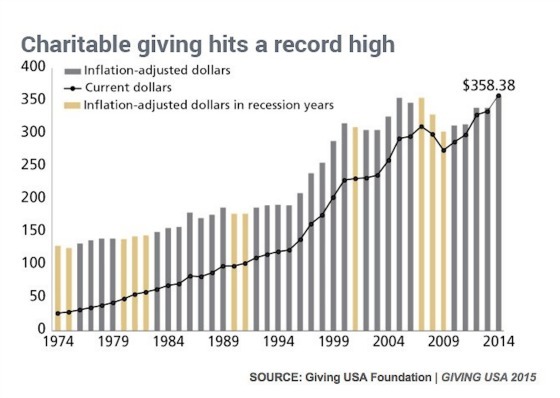 The following chart shows the trend in giving over time. Nearly half of the donations went to religion (32%) and education (15%). Do you give back? How does it make you feel? Has travel helped you build gratitude? ‹ Really? The Fed is Going to Raise Interest Rates in December?